An album’s cover art is easily one of a band’s first selling points. I remember walking through the aisles of Best Buy when I was in college at the time when they used to place selected CDs with headsets. As I walked down one aisle I noticed the cover for From Good Home’s second album, “Open Up The Sky”. I briefly stopped and then continued walking. But something made me turn around to look at it again. I was drawn by the artwork and couldn’t help but wonder what kind of music was hiding inside this unknown band’s album. I took a chance and bought it. 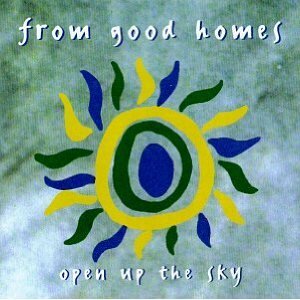 As it turns out From Good Homes (FGH) quickly became one of my favorite bands of all time. 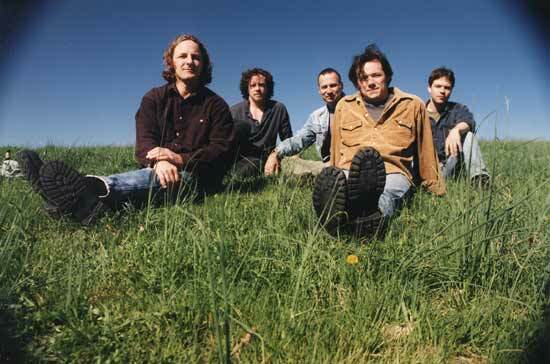 Album cover for "Open Up The Sky"
In the early-to-mid 90s, The Dave Matthews Band made their mark on the world and people everywhere were suddenly discovering “jam-bands”. Jam-band is a category for bands whose songs are often elaborated on by live improvisational performances. Sometimes a three-minute song can turn into twenty minutes during a live show. And it’s this style that made “Dead Heads” (Grateful Dead fans) follow the Grateful Dead around from town to town. Well…that and probably the drugs. But these interpretations would change every time depending on the mood of the band. Although bands like the Grateful Dead already performed these types of concerts, Dave Matthews helped to reintroduce it to a new generation. Some would say he lead the wave of 1990s jam-bands, making that style famous again (or at least helped create the category since “jam-band” wasn’t an official term when the Dead were around in the 60s). Jam-bands seemed to be the alternative to Alternative music in the 1990s and the general public started to take notice of other closely related bands like Phish and Blues Traveler. But there was another unrecognized jam-band with something that the others did not have: Hick-pop. It’s the term coined by one of their critics to help describe their unique style of rock, folk, jazz and Celtic influences. FGH consists of Todd Sheaffer (vocals, guitar), Brady Rymer (bass, vocals), Patrick Fitzsimmons (drums, vocals), Jamie Coan (guitar, mandolin, violin, vocals) and Dan Myers (saxophones, vocals). Originally Todd, Brady and Patrick began playing together in high school and by 1990, they had added Dan and Jamie; they were on the cusp of their FGH namesake. They had a bit of a run in with the law for breaking into a bar where their instruments had been locked up when the bar owner decided to close early. Since they hadn’t performed yet, they broke in and performed “as scheduled”. The judge sentenced them to community service instead of jail time, declaring that they seemed like they were “from good homes”. 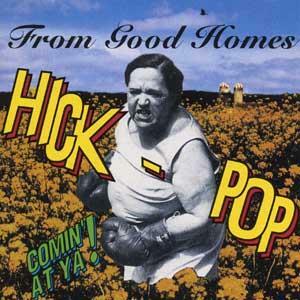 In 1994, they released their debut album “Hick-Pop Comin’ At Ya!” Released independently, the album has the sound of a very young and enthusiastic band. There are several stand out tracks: “Maybe We Will”, "Comin On Home", "Black Elk Speaks", “Scudder’s Lane”, and “Drivin’ ‘n’ Cryin’”. But the album feels as if it comes from a band that still hadn’t tapped into their true potential. It wouldn’t be long before they found their songwriting talents, when their debut was quickly followed up with their first major label release “Open Up The Sky” in 1995. Album cover for "Hick-Pop Comin' At Ya!" “Open Up The Sky” is the album that proved they could develop their songs with more innovation, focus and arrangement. It has a very simple and natural sound to it with styles varying from rock and folk. It’s a flawless record with every track bringing originality and a powerful sense of emotion. With themes of isolation, frustration and the search for a new life, it’s a great album for anyone traveling long distances. Writing meaningful, thought-provoking lyrics is only half of their strength. They also know how to make an audience dance. Even their slower tunes gives you the sense to tap your foot. Suggested tracks: “Let Go”, “Rain Dance”, “Sunshine”, “Radio On” and fan favorite “Head”. (Side Note: “Head” has had many incarnations throughout its life. 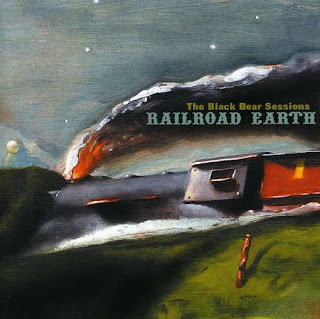 It was even turned into a bluegrass tune on the debut album of Todd’s other band Railroad Earth). FGH not only were critically successful, but they also impressed their musical colleagues. They toured with Dave Matthews Band, Ratdog (with Bob Weir of the Grateful Dead) and Hootie and the Blowfish who applauded their outstanding live performances. 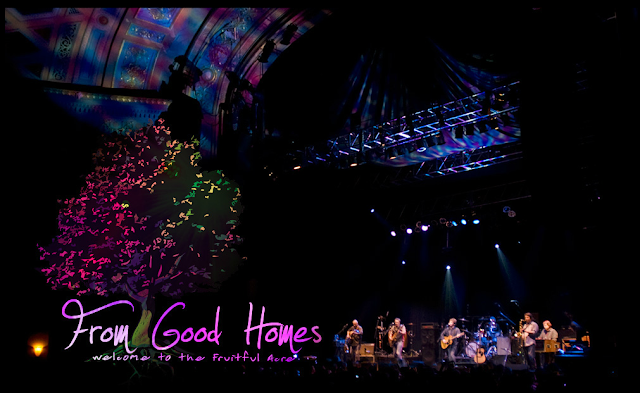 In fact, it’s their live shows that helped gain FGH their huge following, much like the Grateful Dead. Although I’ve never personally witnessed their live shows, based on their live recordings it’s clear that this band doesn’t write music simply from a technological point of view, they create it on instinct and feeling. 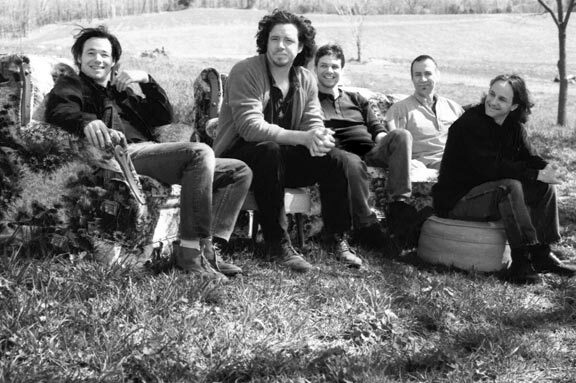 In 1998, they released their self-titled studio album; a record ranging from somber and atmospheric to fun and jazzy. It’s miles away from their previous album but similar in quality and innovation. I was surprised by how flawless it was considering they had written such a perfect album prior. Suggested tracks: "The Butterfly And The Tree", "Cold Mountain", "Ride All Night", "Goin' Out", "Broken Road", "Kick It On" and my personal favorite "The Giving Tree". I was excited by the future of this band and curious as to what would be next. Unfortunately, they decided to part ways around the time of this album. Of course, this was 1998 and the Internet hadn’t become as widely used for news as it is today so I was unaware of their breakup for several years. 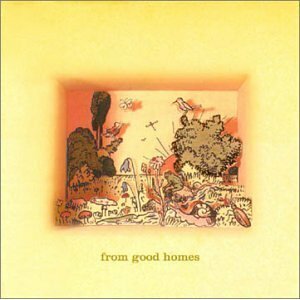 Album cover for "From Good Homes"
That entire time I was waiting and by 2001, I learned that Todd formed a new band (Railroad Earth). Fortunately, Railroad Earth’s debut was incredible. Todd created a band nearly unplugged to shape a very natural, bluegrass sound. Once again, the band gathered a huge following based on their live performances. 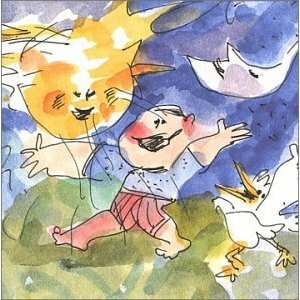 At the same time, Brady started making his solo records beginning with the amazing “Good Morning, Gus” which is an accidental album. Brady wrote most of these songs for his son Gus and eventually the songs made their way to the ears of friends and family – and the demand for the songs became high. Based on the enthusiasm for the record, Brady formed a touring band and began releasing more and more children’s records. He was recently nominated for a Grammy for his children’s record “Here Comes Brady Rymer and the Little Band that Could”. Drummer, Patrick released his solo records in a very unique fashion. He sold pre-release albums to help pay for the recording process. Basically, he was selling the album before it was even made and the people who bought the pre-release were given a bonus CD as a thank you. This was a concept foreign to most artists (and shoppers) and tested nearly a decade before Kickstarter was online. 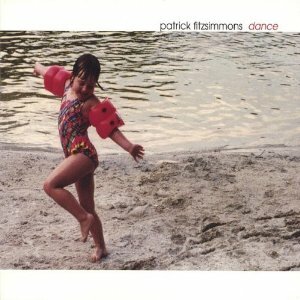 Album cover for Patrick Fitzsimmons's 2nd record "Dance"
Dan Myers founded the recording studio Dirt Floor Studio and has worked with such artists as Sam Champion, Adam Green as well as with Todd and Brady. Jamie Coan writes and records music while also playing fiddle and dobro for The Red Top Ramblers. Many fans, including myself, can only hope that one of their reunion performances will lead them into the recording studio to continue what they started back in the 90s. It’s honorable that they have all remained friends while continuing their individual projects but the audience isn’t done with FGH yet. We’re still waiting for more Hick-pop to come at us. TRIVIA: Originally, the core members went under the name "Old Crow" and later "The Dogs".